Lost in Space is making a comeback. This time the Robinson family will take an adventure into space as Netflix reboots the series for another generation of science fiction fans. The rebooted series will be premiering on the streaming giant on April 13, 2018. Danger Will Robinson! Danger! Lost in Space stars Toby Stephens as expedition commander John Robinson, Molly Parker as aerospace engineer Maureen, Taylor Russell as Judy, Mina Sundawall as Penny and Maxwell Jenkins as Will, the youngest child. He’s the one who meets and befriends the Robot — whose 2018 incarnation is a far cry from the period-piece ’60s version. 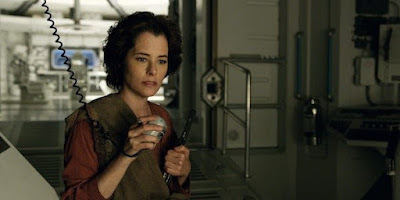 Ignacio Serricchio is smuggler Don West, and Parker Posey plays Dr. Smith. “Set 30 years in the future, colonization in space is now a reality, and the Robinson family is among those tested and selected to make a new life for themselves in a better world. But when the new colonists find themselves abruptly torn off course en route to their new home they must forge new alliances and work together to survive in a dangerous alien environment, light-years from their original destination. Stranded along with the Robinsons are two outsiders who find themselves thrown together by circumstance and a mutual knack for deception. The unsettlingly charismatic Dr. Smith (Posey) is a master manipulator with an inscrutable end game. And the roguish, but inadvertently charming Don West (Ignacio Serricchio) is a highly-skilled, blue-collar contractor, who had no intention of joining the colony, let alone crash landing on a lost planet.” .